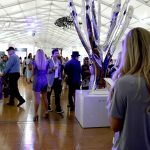 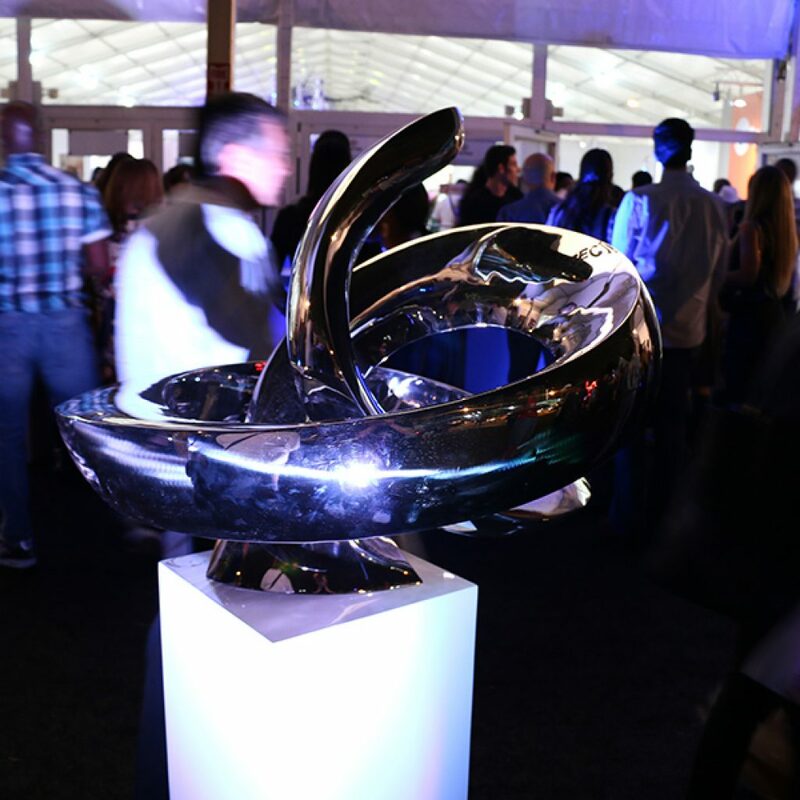 The 6th annual Spectrum Miami contemporary art show got off to an impressive start last night at its Opening Night Preview Party, garnering several thousand attendees for cocktails, live entertainment, and a first peek at the cutting-edge art on display from over 160 artists and galleries worldwide. 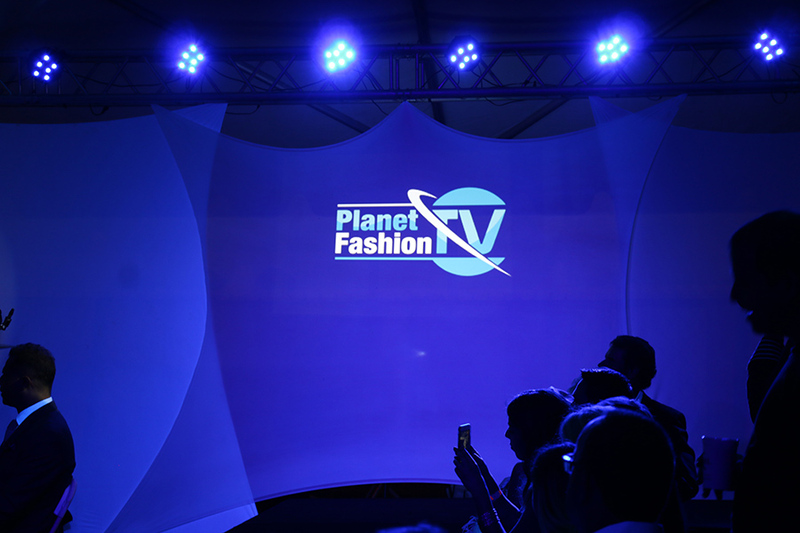 Feathers, fabric, and flounce courtesy of Planet Fashion TV. 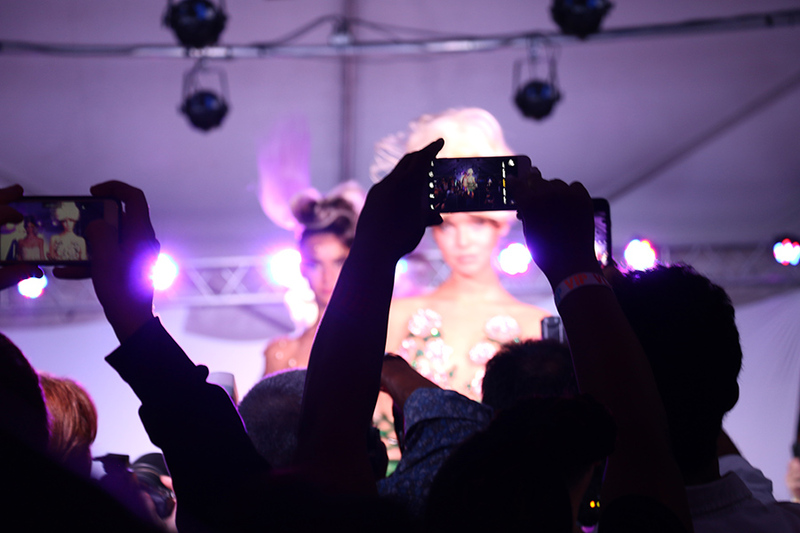 Attendees and media snap shots of the “Art Loves Fashion” models. 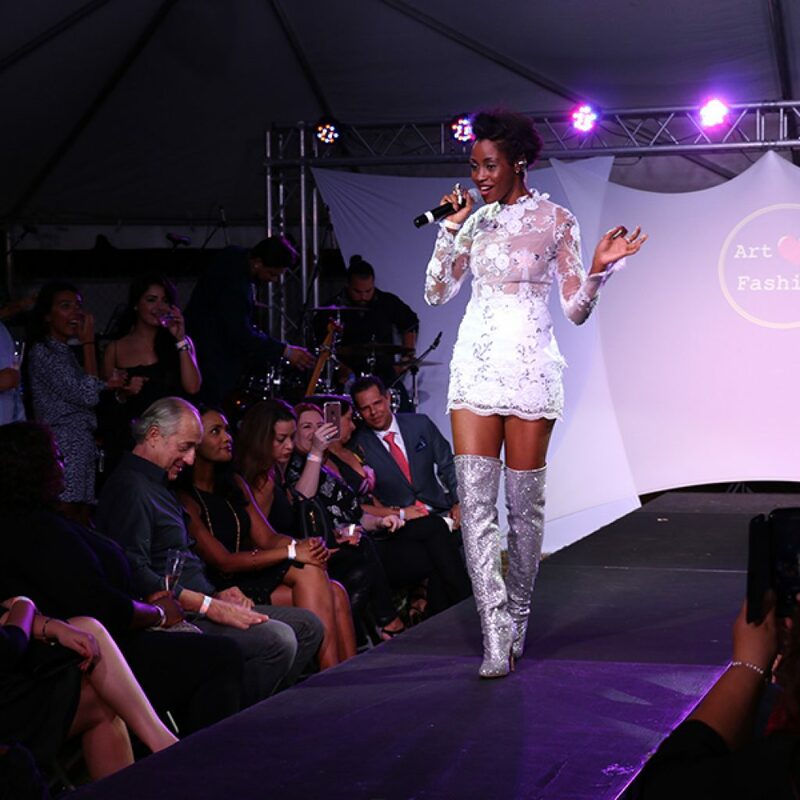 Nothing says fun like fashion! 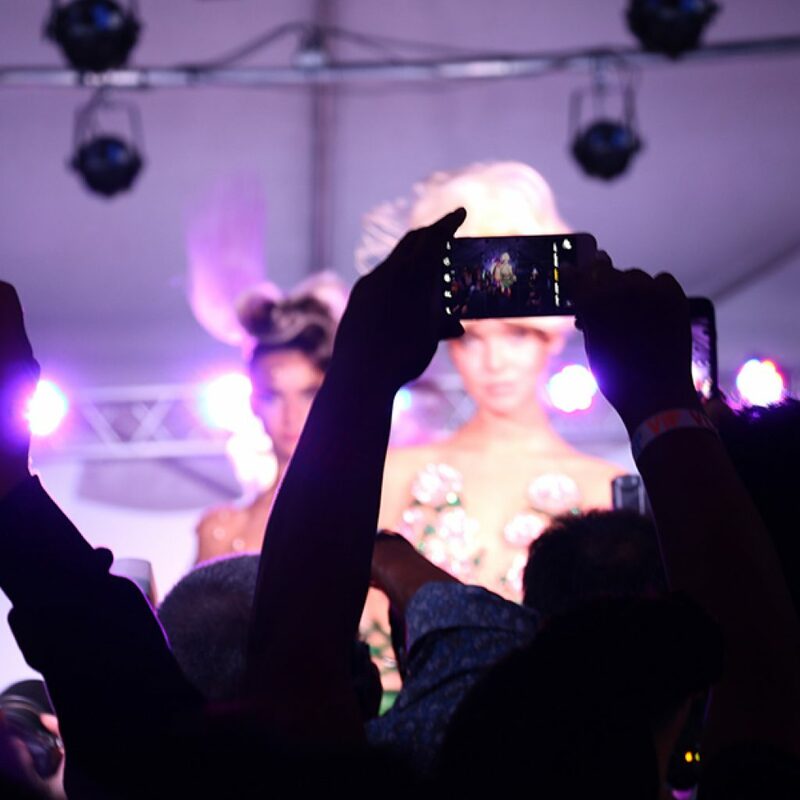 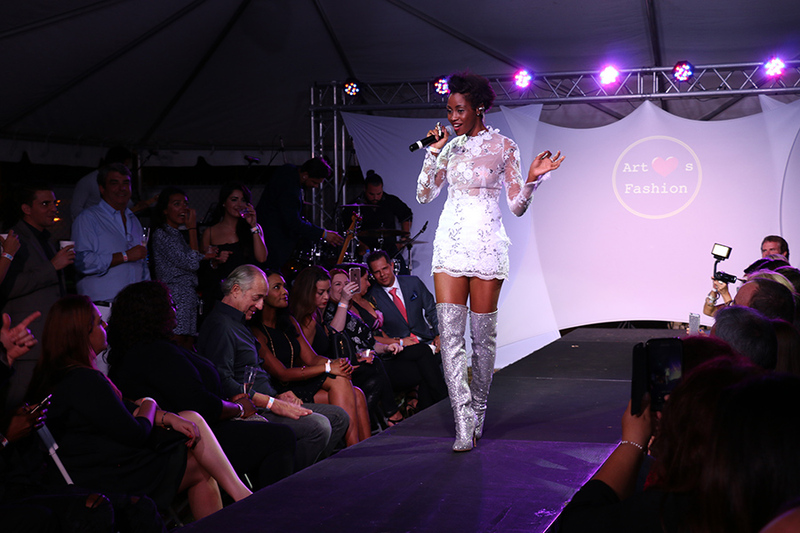 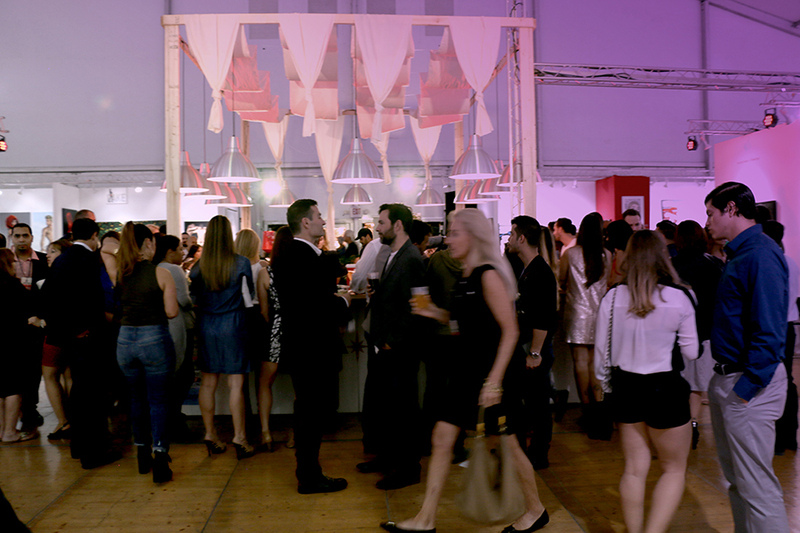 Planet Fashion TV hosted an exclusive runway show, “Art Loves Fashion,” to a packed tent. 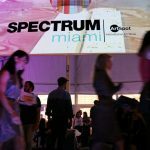 And there are plenty of other exciting events coming up today through Sunday at Spectrum, including live art demos, Art Talks, and Meet the Artist sessions—check out the full show schedule to see all the details. 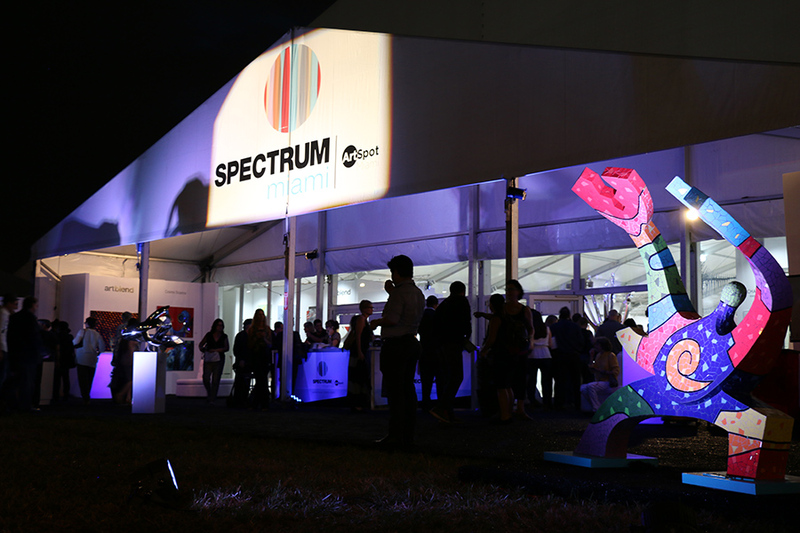 The entrance to Spectrum Miami on its busy opening night. 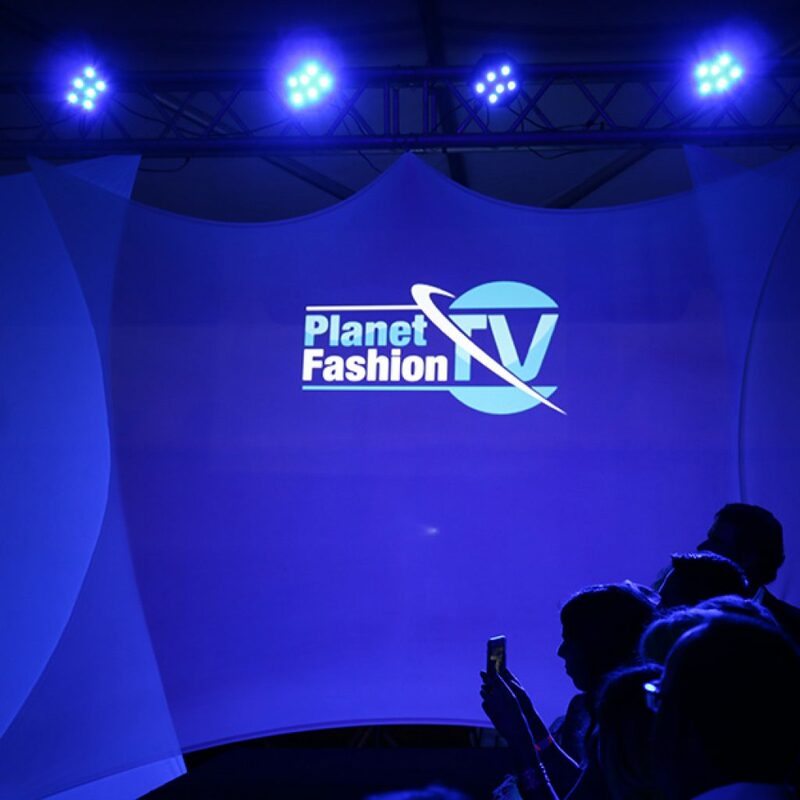 Who’s ready for a runway show by Planet Fashion TV? 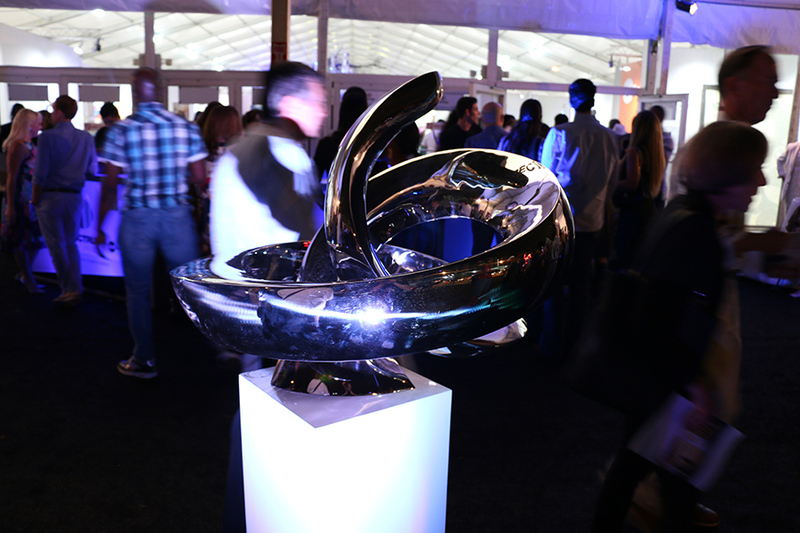 A Michael Shewmaker sculpture graces the Spectrum Miami exterior. 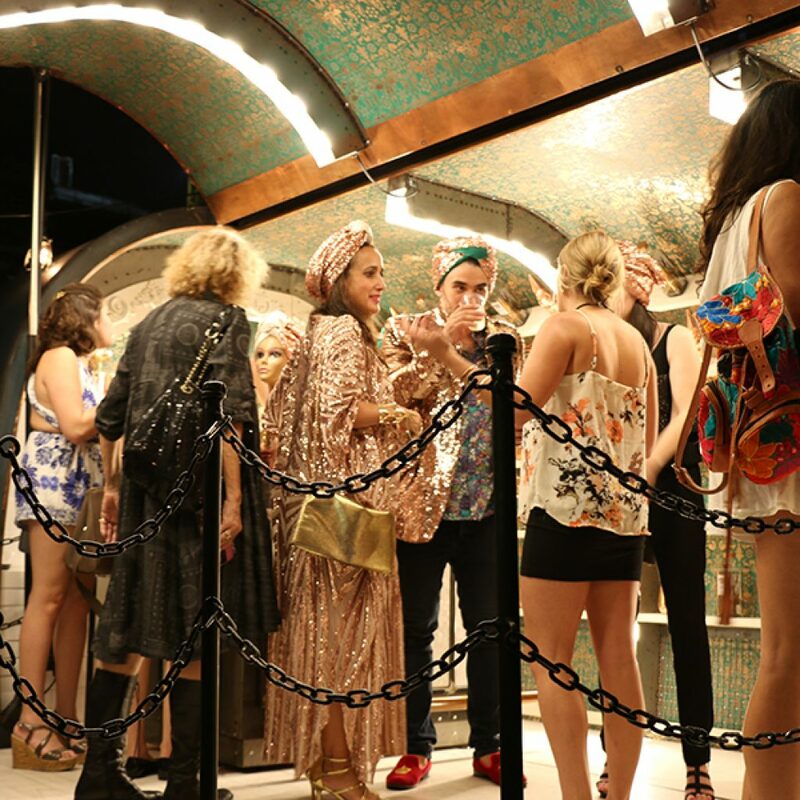 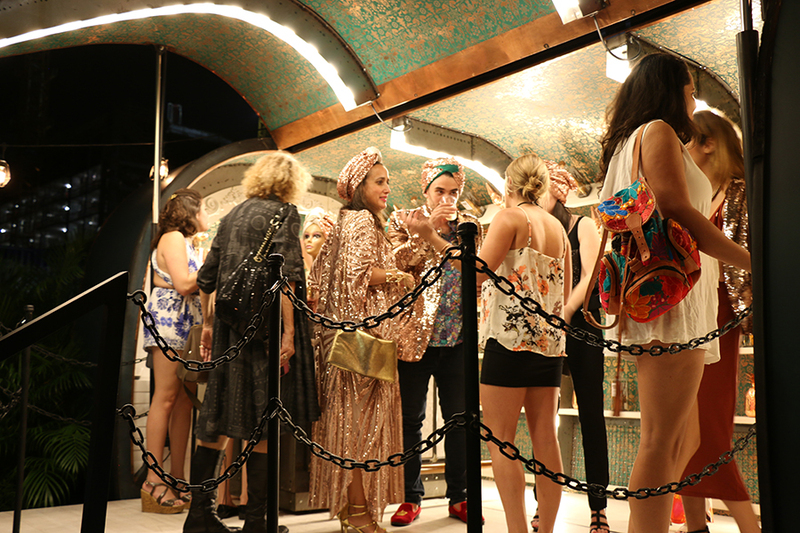 The exquisite Absolut Elyx vintage water truck installation. 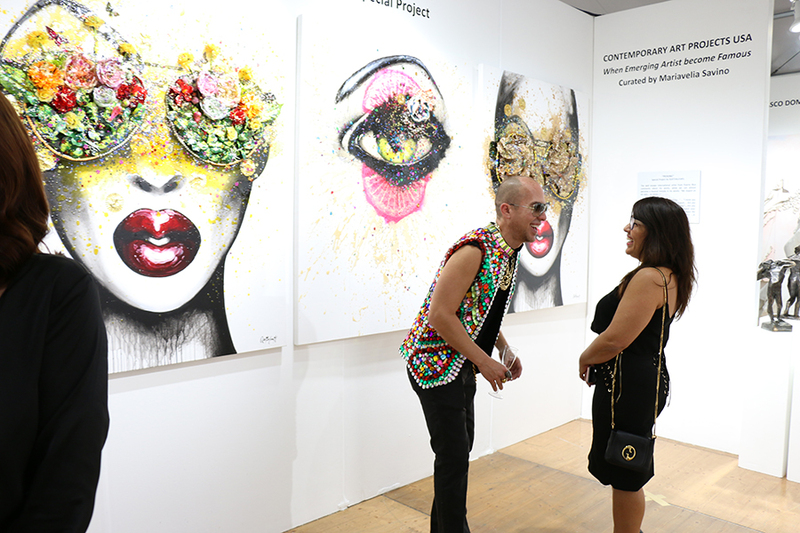 Cocktails in hand, art conoisseurs and Miami nightlifers took in the scene at Spectrum. 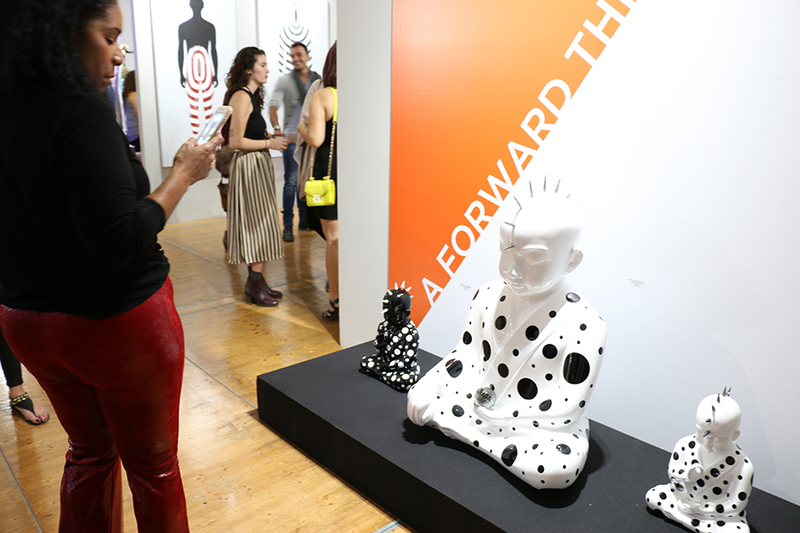 Spiky-mohawked, polka-dotted Buddhas at ArtSpot Miami. 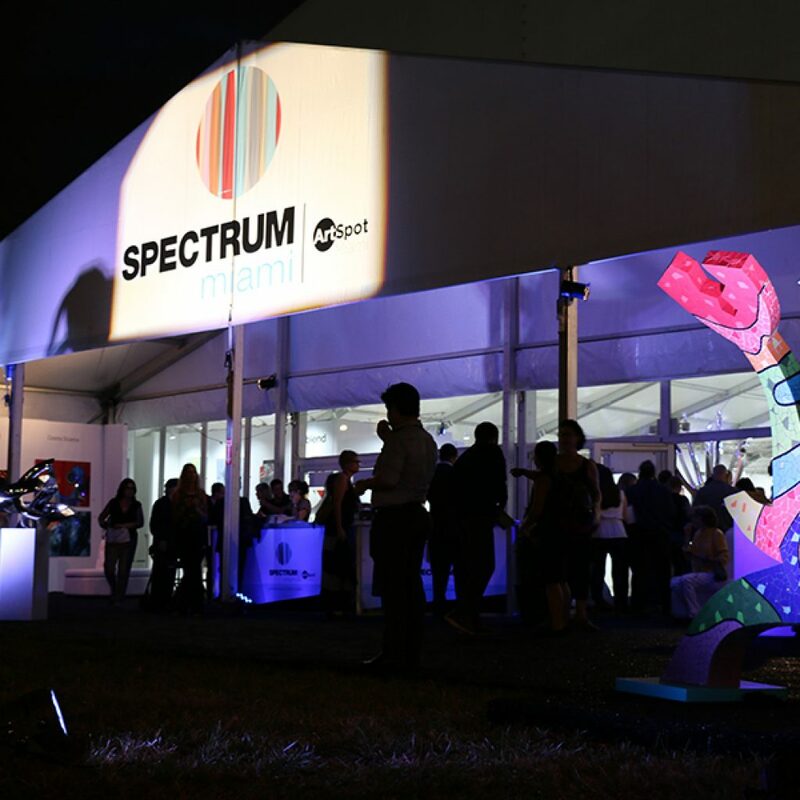 Make sure to follow the action on Spectrum Miami’s Facebook, Twitter, and Instagram for a taste of the scene and up-close looks at individual works of art. 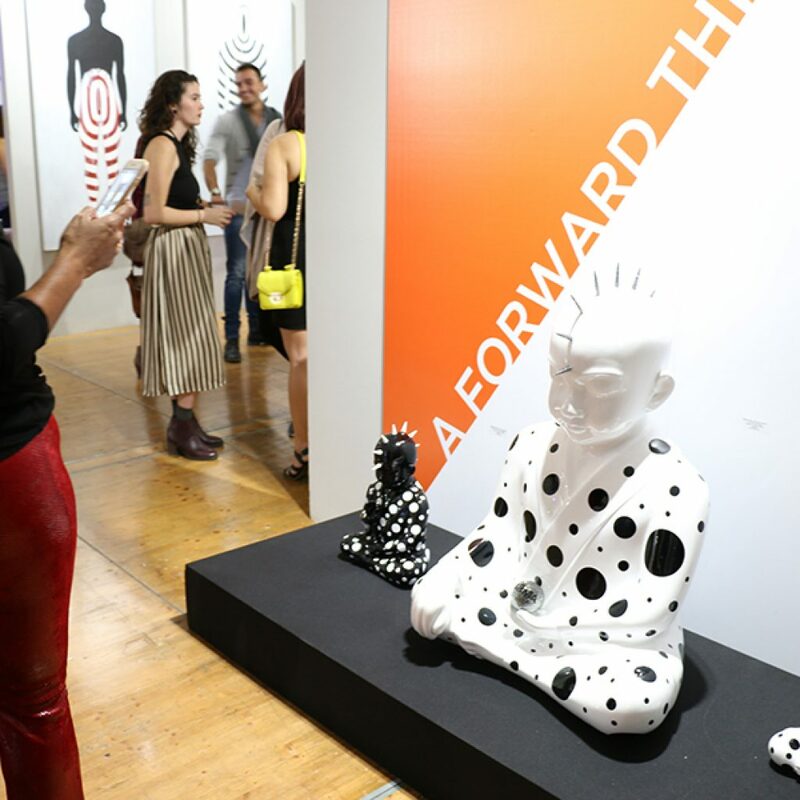 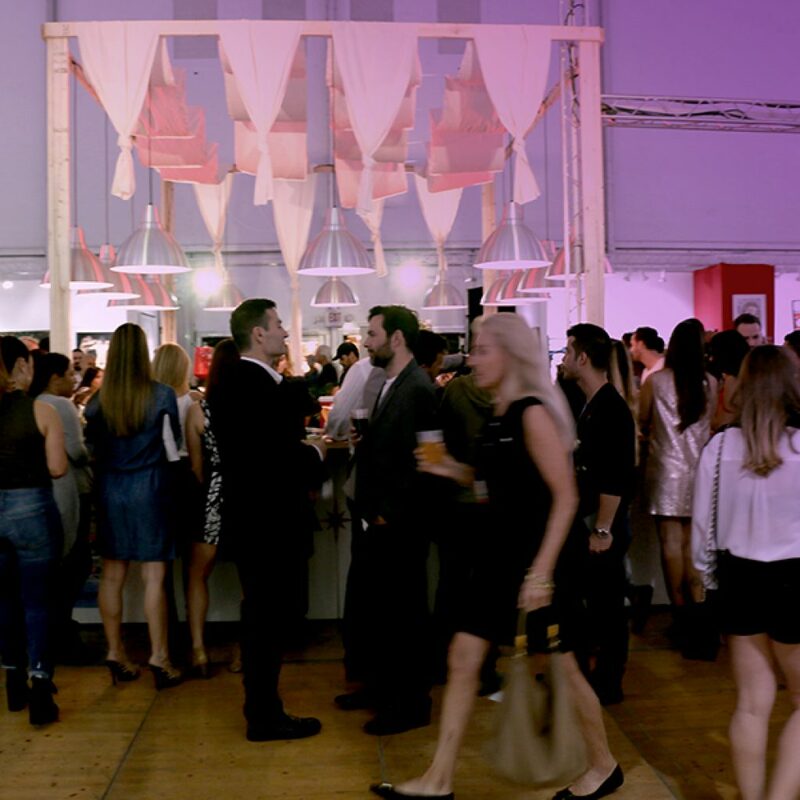 We hope to see you at the show this weekend—grab your tickets, which also grant you access to Red Dot Miami next door, if you haven’t already! 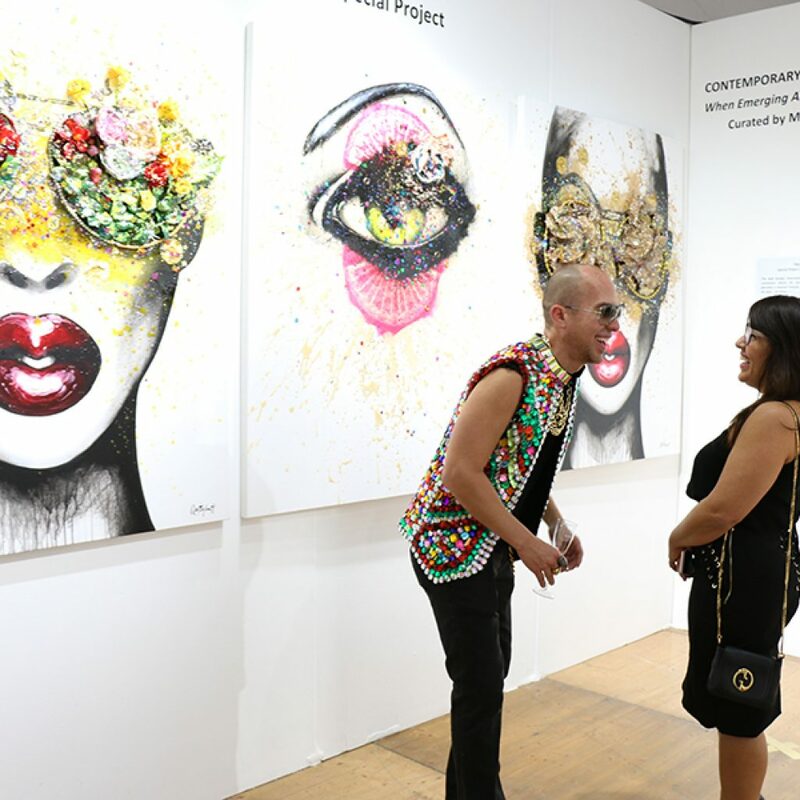 Vigilando el Postre by Quetzalcoatal of Contemporary Art Projects USA. 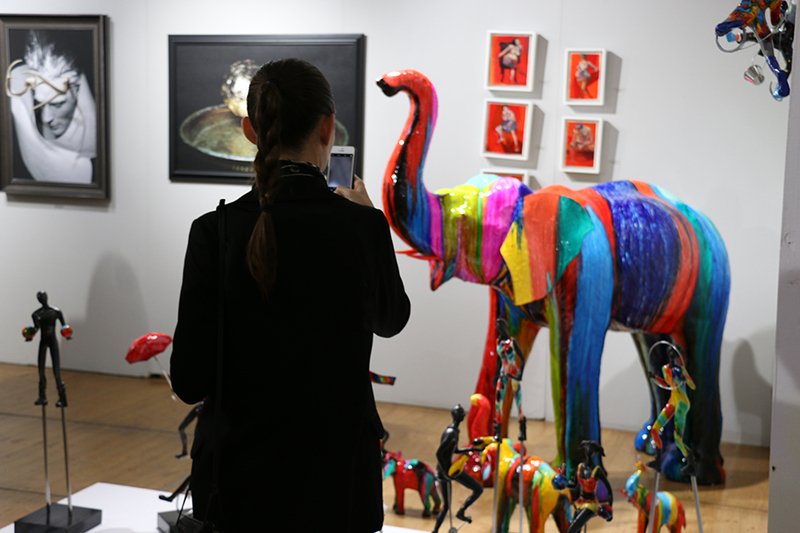 A vibrant elephant and other striking works from ArtSpot Miami. 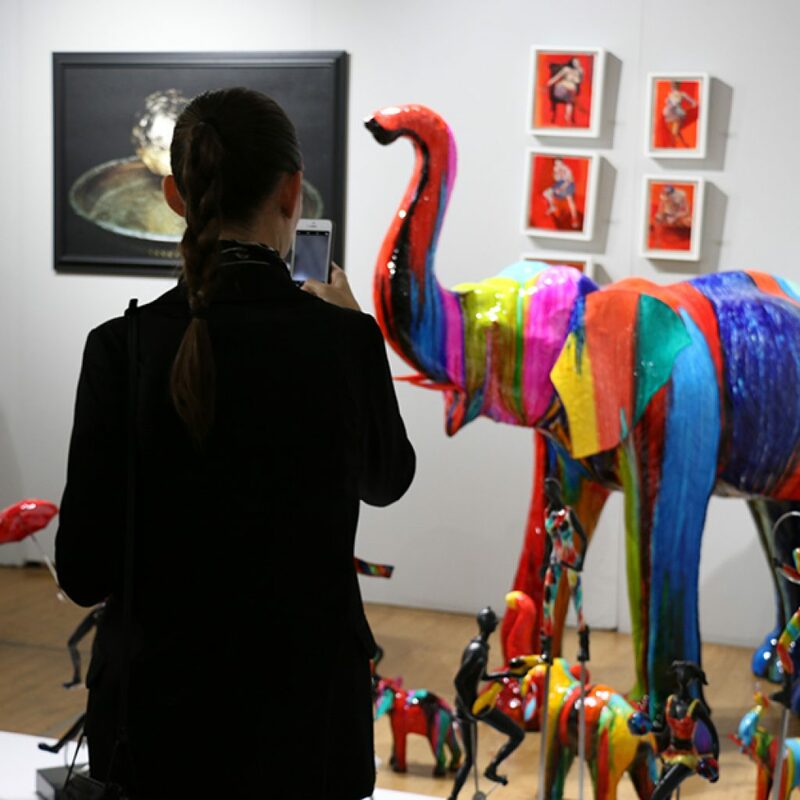 Showgoers admire the work of Shelley Lake.